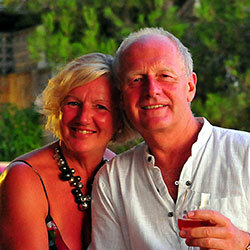 Top Four tips for four by four for fun! Home » Featured » Top Four tips for four by four for fun! Might it be time to rekindle your sense of adventure; to pull out a map, mark far-flung places and luxury lodges on your maps and simply drive into the unknown in a 4×4? 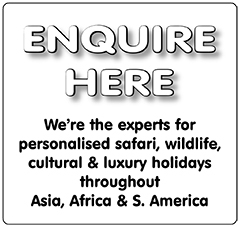 It means you’ll be free, independent and away from the madding crowd but no less able to enjoy the luxuries that we all crave – you’ll just arrive by a different route! Assuming you don’t live in a 4×4 every day or don’t use it off-road regularly it can come as a bit of a surprise if you suddenly decide to venture into the great unknown. It is however one of the most exhilarating forms of driving you’ll ever do and the most enjoyable if you remember a few simple pointers. 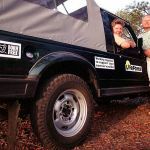 We’ve driven a variety of 4x4s over the years in most conditions – from snow and ice, through mud and sand, steep, submerged and rutted surfaces. 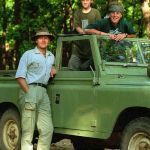 We’ve had a few mishaps but generally survived – so these few tips might help if you’re contemplating challenging yourself or hiring a vehicle to go on safari. They’re very much our opinion formed from our experiences – you may have different ones – but at least they’ll get you started. Regard the following as gentle guides not deterrents and you’ll have a wonderful time! 1) Select the right vehicle. 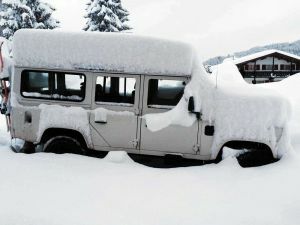 If you don’t already own a 4×4 (and therefore will be using it regardless) and are contemplating hiring a vehicle, then do your homework on the terrain you’re likely to encounter. 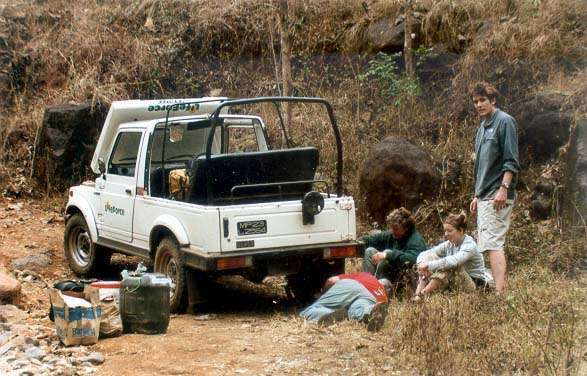 Whilst living in India we used shorter (but not short) wheelbase Maruti Suzuki Gypsy Jeeps, which although highly uncomfortable, without them we wouldn’t have been able to navigate the very tight hairpin broken rock bends that wind through the jungles of the Central Highlands. 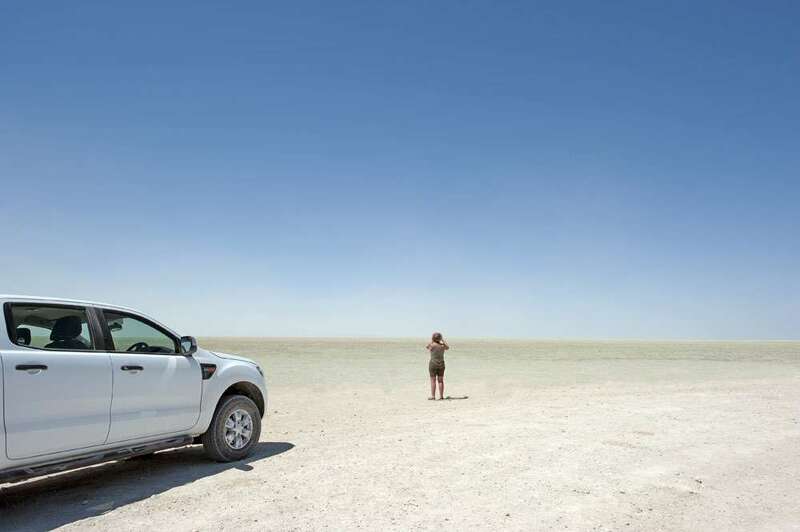 In countries like Botswana you’ll need a 4×4 that has rugged transmission (Defender/Range Rover/Land Cruiser) as the constant deep sand driving will tax a less durable set-up. 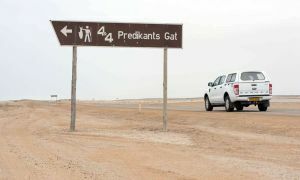 In somewhere like Namibia, for the most part you could use two wheel drive, even though much of the travelling is on gravel and sand – there, its only for about ten percent of the driving that you’ll need 4×4 capability (and the roads are generally signposted accordingly) so a less robust or agricultural setup is OK such as the Ford Ranger or equivalent. 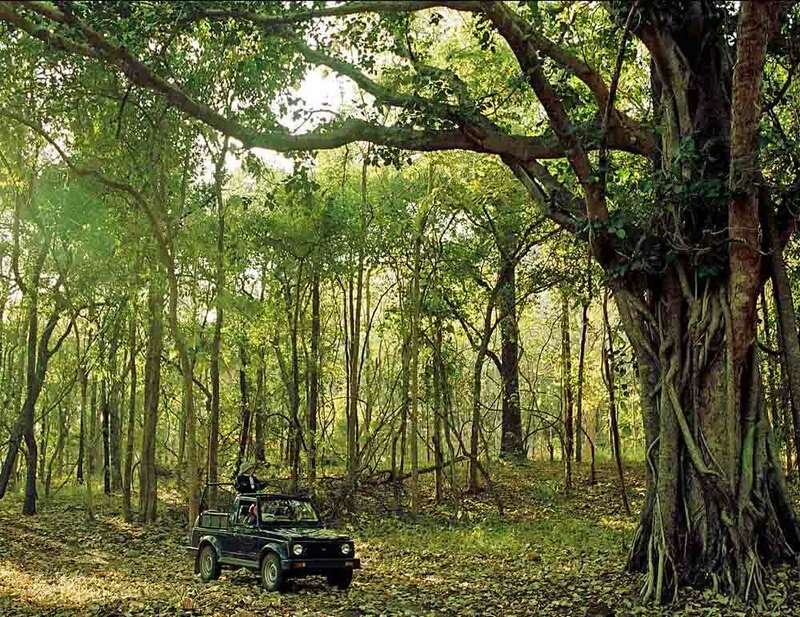 On safari, an open sided vehicle can be great for photography but awful for protracted distances in baking heat. 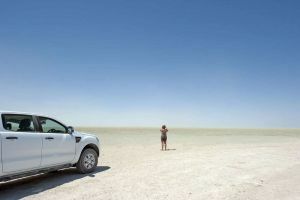 It’s also worth mentioning here that the Ford Ranger we hired for Namibia didn’t have seals on the rear pick-up hard glazed cover so all our luggage was smothered in fine dust and sand daily – a real pain that meant everything had to be wrapped in bin liners – whereas a fully enclosed vehicle such as Defender or Land Cruiser would have contained luggage within it. Sometimes difficult if you just collect it from a car hire company but make sure to specify certain accessories prior to booking. a) If you’re doing any great distance then long range fuel tanks or additional jerry cans will be invaluable – especially if fuel stations are few and far between. b) Two correctly inflated spare wheels are a necessity where repair facilities are scarce and you’re travelling over rock and shales or through desert areas full of thorn bushes. You may wish to carry a temporary repair kit for plugging punctures if their location is obvious. 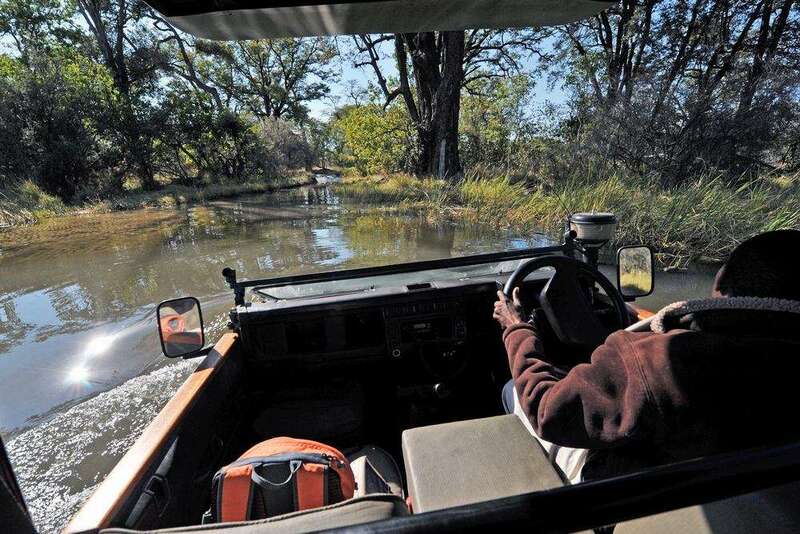 c) Carry a shovel, strong tow rope, jack and handle, foot pump, at least two pads/rafts for inserting in front or behind wheels to give them traction. d) Basic tool kit – a Leatherman at the very least! e) Spare oil and any other fluids specific to your vehicle. f) Adequate supplies, provisions, water – for you and your companions. g) Means of communication. Mobile phones are great except where signal is non-existent, which is always likely to be in the most inhospitable, inaccessible part of your journey – make plans for all eventualities! Don’t assume everything is OK before you set off. Give it the once-over. Check all fluid levels and operation of every aspect of the vehicle including correctly operating four wheel drive, low ratio gears and diff lock etc. where appropriate. Check tyre pressures all round and find out what is the optimum pressure for driving on the different surfaces you’ll encounter eg. 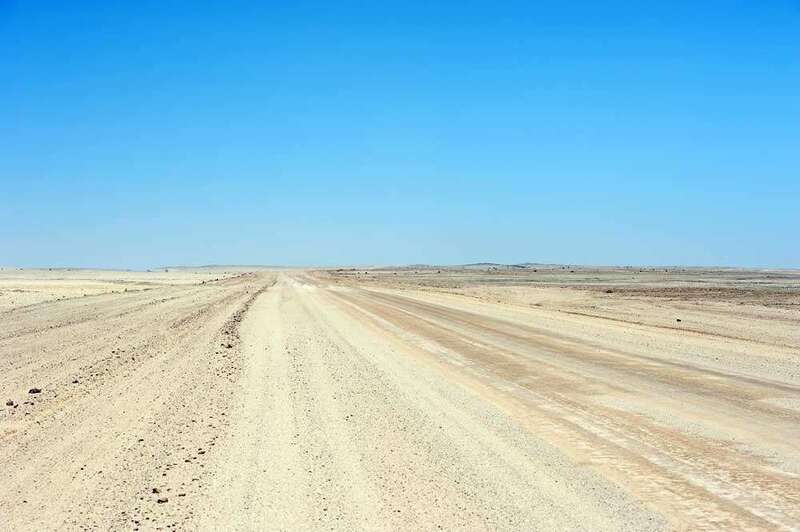 deep sand usually requires pressures at 50% of normal road running. Check if your vehicle is equipped for wading through water and if it is likely on your route. Most errors are caused by being too heavy handed. Drivers on normal metalled roads at home can become lazy, complacent and sloppy, relying on their car to sort out the problem with its increasingly sophisticated ‘dummy-correction’ modes. 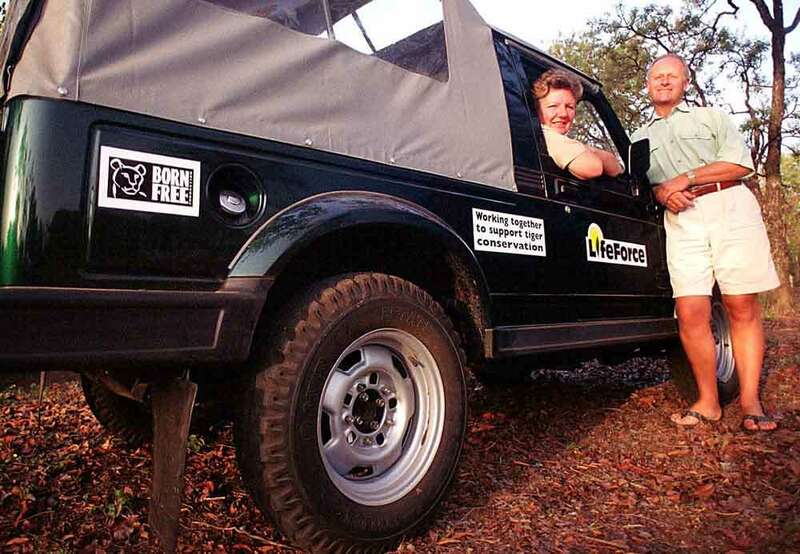 4×4 driving benefits from finesse and an understanding of how a vehicle acts and reacts. 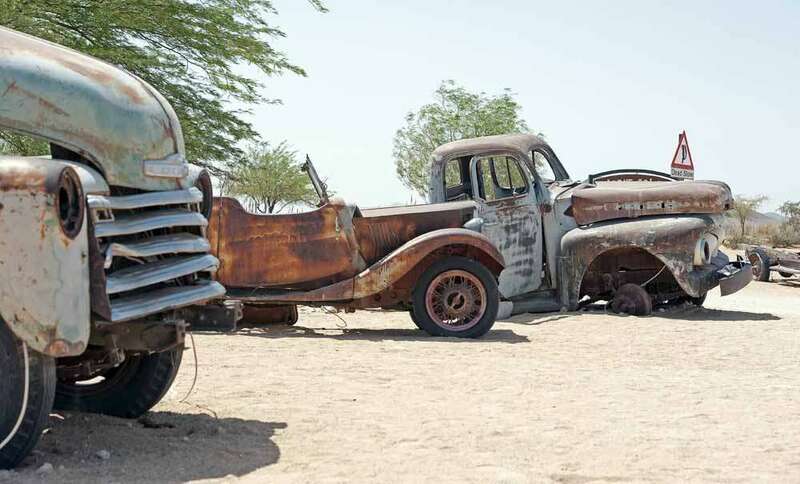 We’ve seen people ‘beach’ their vehicles in deep sand simply because they used brute force and ignorance. 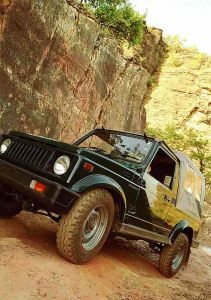 Generally, 4×4 is about maintaining constant reliable power, rather than speed, to the wheels so that sufficient traction can be maintained to drive you through whatever terrain you’re on. You’ll be selecting gear ratios and revs according to this principle by taking into account the options that your vehicle offers (Constant 4 wheel drive, selectable 4 wheel drive, additional low range gears, diff-lock etc.) and the surface you’re on. The following pointers may help; they are mainly common sense (the scarcest commodity on the planet) but it’s only practice that will make perfect. General – it’s all about ‘common’ sense! a) Keep calm and think ahead but bring your field of vision much closer to the bonnet than it would be on a metalled road. 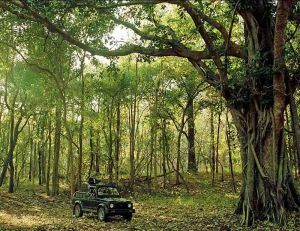 b) Try to select the correct gear for the terrain ahead before reaching it. c) Don’t drive down a slope faster or in a different gear from that in which you would drive up it – and vice-versa. e) Don’t crest rises at speed unless you’re sure what’s on the other side. f) Don’t use heavy braking or throttle movements. g) Be prepared for sudden changes of surface that require differing techniques. h) Brake before, not in, corners so that your speed is correct for the corner before entering it. i) Maintain a steady pace suitable for the terrain. k) If inadvertently drifting from a hard surface to a softer one at speed don’t attempt a rapid change of direction but allow the vehicle to continue before easing back to the harder surface in a gentle curve. l) Don’t drive for prolonged periods at speed with diff-lock engaged. 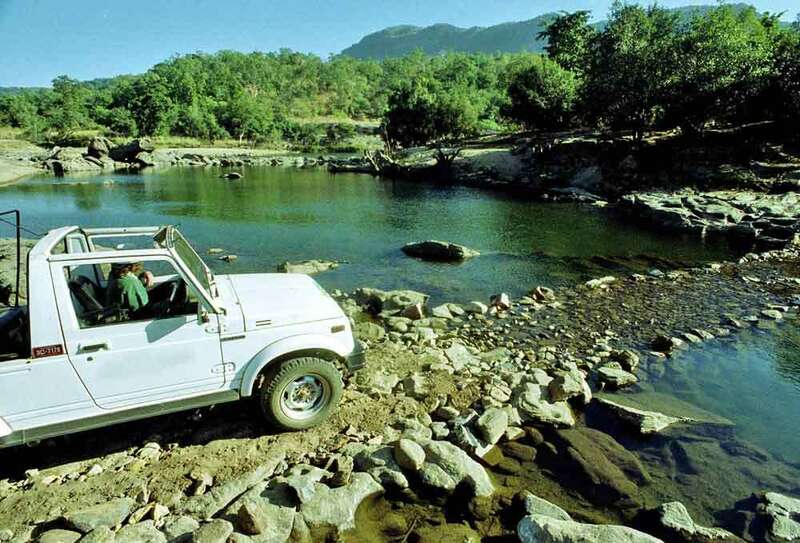 m) Don’t drive out on to unmarked areas without checking durability/weight bearing capabilities of the surface – especially in coastal or riverine areas. n) Be wary of exceeding the vehicle’s and your capability when traversing a steep slope. p) If in doubt – don’t! Be wary of corrugations that occur through numerous vehicles bouncing on the surface, especially in corners where a drift started through excessive speed can develop into excessive steering correction and a rollover. This is the most common form of accident as higher speeds are easily achieved on these surfaces. If passing other vehicles at speed, press your fist against the windscreen as it acts as a damper (similar to a tennis racket damper) in case stones hit the window – so you only sustain a chip instead of a spider web crack. It does work – even if approaching cars do always think we’re waving at them! 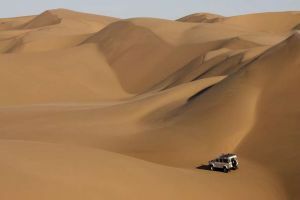 Prolonged driving in deep sand (such as over dunes) usually requires tyre pressures at 50% of normal road running as you are trying to achieve a ‘float’ across the surface rather than cutting through it to find firmer ground. Avoid rapid direction changes that could separate softer tyres from the wheel rims. 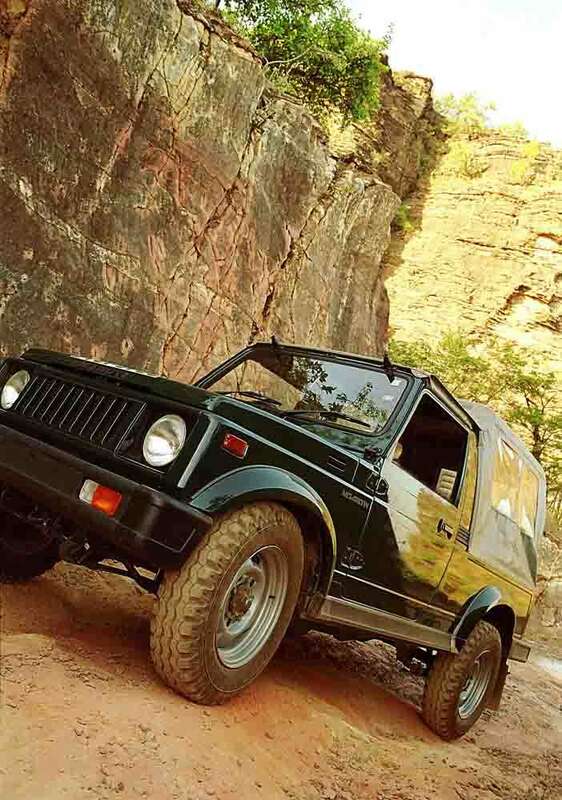 Follow the general direction of other tracks but not in them as you might become beached if you have insufficient ground clearance in deep tracks. 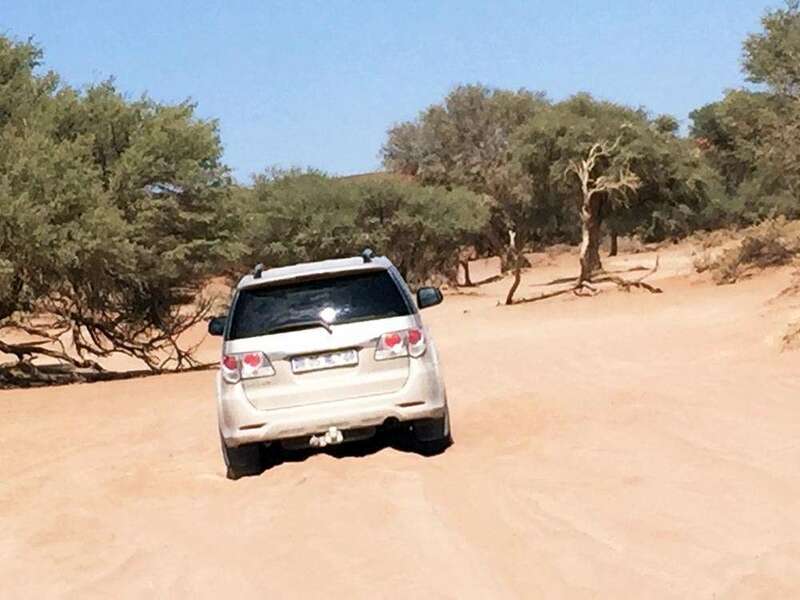 Select the correct low gear prior to entering the deep sand that will enable you to maintain a smart speed – too slow will bog you down; too fast will create a bow wave of sand in front of the tyres that will also bog you down. Higher revs and lower gears at steady speed maintains cooling of all parts and gives better traction. Stop to cool you and the car down if driving for protracted times in deep sand. The correct speed in deep sand will give you the illusion of surfing gently on a wave of sand where the steering acts more like a rudder to gently achieve change of direction. Rapid change of direction will cause too much sand to build in front of the turning front wheels; acting as a brake. Better to maintain a steady speed than engage diff-lock. If you bog down, diff-lock can sometimes cause you to simultaneously dig four holes for yourself. If stuck use the rafts and shovel. 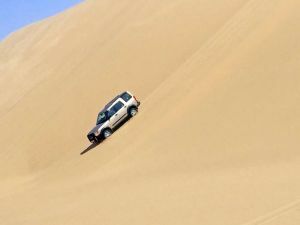 Traversing steep slopes in sand requires knowledge of whether you’re on the windward or ‘slip’ side of the slope (sand consistency varies dramatically) and well-practiced technique, together with a powerful power to weight ratio on your vehicle. It’s easy and also dangerous to get it wrong. If in doubt – don’t! 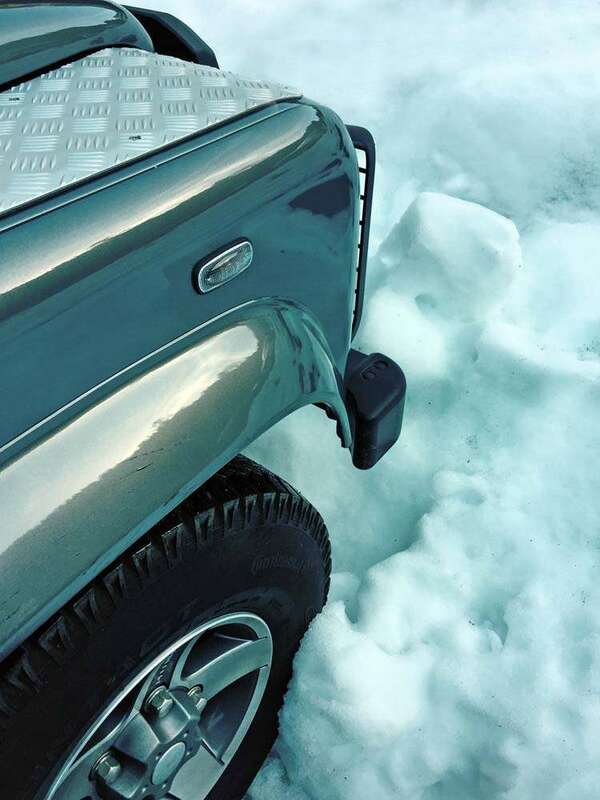 If you stop on a slope for any time – be aware of creep, where the sand shifts under the weight of your vehicle and can slide it into a difficult attitude. When leaving a deep sand environment – remember to re-inflate your tyres if you have deflated them at all. Similar to deep sand but more predictable if you know that beneath it is a stable base eg. muddy tracks across countryside. Generally, do not deflate tyres. 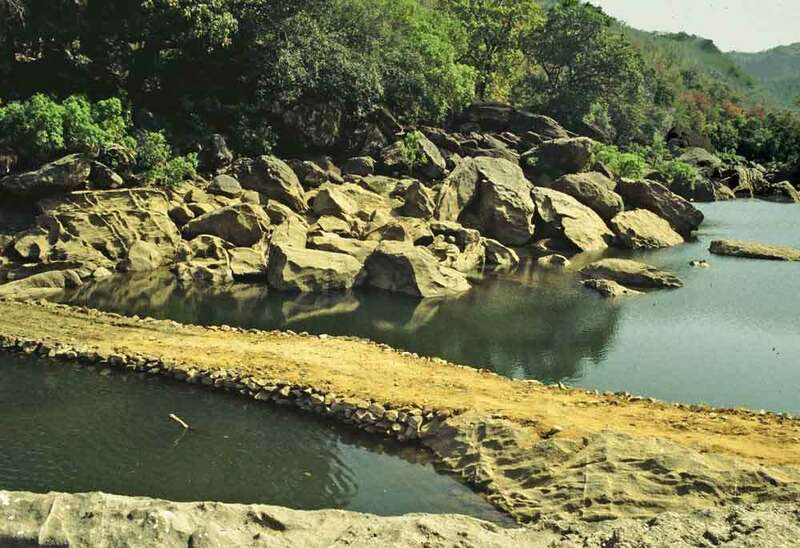 Be wary of deeply rutted areas that can beach the vehicle. 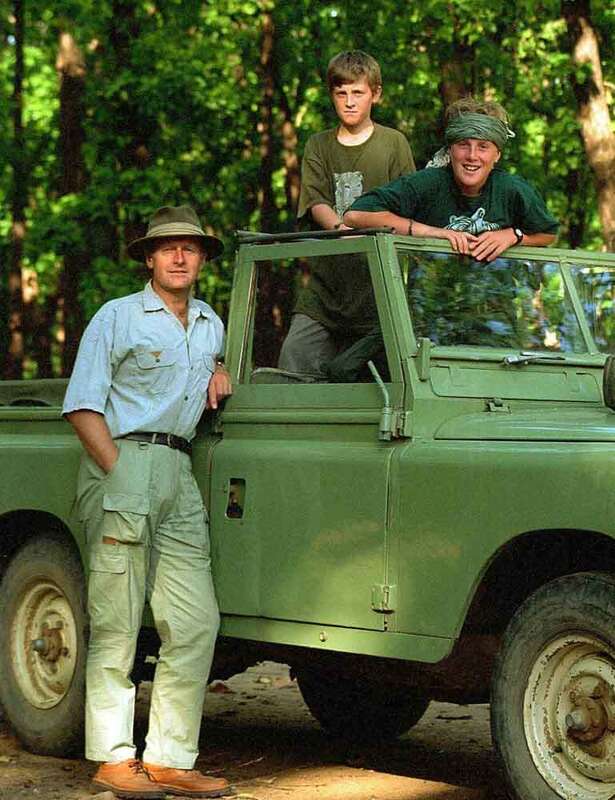 Despite trying to keep away from ruts we slid into them once in our own Range Rover and were stranded; which embarrassingly for us needed towing out as it had sunk to its floor pan and refused to budge. 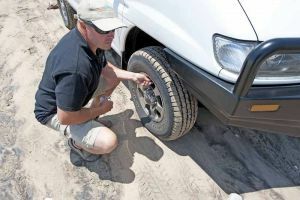 Be prepared to use diff-lock when traction is lost on one or more wheels as its more likely to work with differing surfaces under each wheel than on sand – where the sand surface is usually identical under all wheels. Be prepared to wash off drive shafts, wheels and brake assemblies after immersion in mud. Be prepared to get filthy yourself! Does your vehicle require wading plugs for the engine block or snorkel system for the exhaust? Check water depth and sub-surface material before entering the water – that means get out of the car and check with a stick; not peer at it from the driver’s seat! Select a low gear appropriate to the sub-surface material and depth of water. Generally first gear unless you need to select low ratio, in which case second may be more appropriate. Maintain a steady speed that parts the water in a gentle bow-wave and wake from the front and rear of the vehicle. Excessive speed will break the wave over the bumper and may flood electrics when water sprays from the cooling fan. 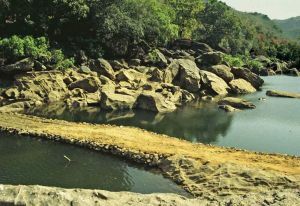 Drive too slowly and water may enter the exhaust pipe and choke the engine if not fitted with a snorkel for this purpose. 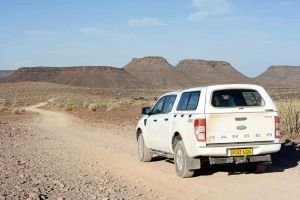 This can be highly uncomfortable if endured for long and needs total concentration on the driver’s part to navigate around ruts, rocks and sharp edges. 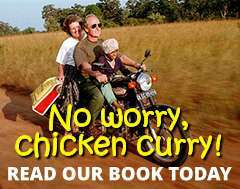 The speed at which you can travel safely and comfortably will vary all the time and it’s tempting to just set the throttle and endure it – not good practice. You’re more likely to get a puncture or incur more serious damage if you do. 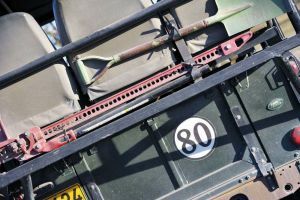 The vehicle will hop, skip and roll from side to side and is best treated as if it were a slow motion bucking bronco; with your own hips, torso and head rolling at a similarly leisurely pace – its kindest on you, your passengers and the vehicle. Check for rocks lodged in the suspension that may cause problems later. Similar to deep sand but you’ll get a lot colder if you have to dig yourself out! The main difference between snow and sand (other than the obvious) is that you’ll tend to drive on snow covered roads rather than over snow fields; so there’s a hard base beneath, whereas with sand there rarely is, hence the need to deflate tyres on sand but not necessarily in snow. We have in moments of madness driven down pisted ski slopes in the past and on reflection consider ourselves very lucky that we didn’t come to grief – so its best to stick to the roads! We’ve never used chains to good effect on 4x4s in snow as the transmission copes perfectly well without; especially if you have the right tyres fitted. Digging out in the morning is a chore if there’s been a snowfall overnight so remember to leave the windscreen wipers lifted from the screen to avoid freezing onto the glass – it can also help you to find your vehicle! Take anti-freeze aerosols indoors at night to unfreeze door locks. Nothing is more frustrating than locking it into your vehicle the night before! Be wary of snow turning to ice on roads unexpectedly. Use gears instead of brakes wherever possible. Extreme caution is needed wherever you are, especially if your vehicle is not fitted with studded ice tyres. Conditions are much more predictable in a ski resort, for example, where you can anticipate these conditions – as opposed to roads in your home area where you’re more used to temperate conditions; where it can come as a nasty surprise. Excessive speed or movements are your enemy. Restrict harsh steering, throttle and brake activity and think and look way ahead. Use your gearbox to limit your speed, especially on downward slopes. If you break into a slide, do not touch the brakes but maintain straight steering or steer into the slide if the car slews – and if able to engage a lower gear without disrupting vehicle balance then do so. Well that’s it – in quite a big nutshell. Above all – Be Prepared. The most important thing, above all, if you become familiar with technique and the vehicle before you go, you’re so much more likely to have fun! Now, where will you go?